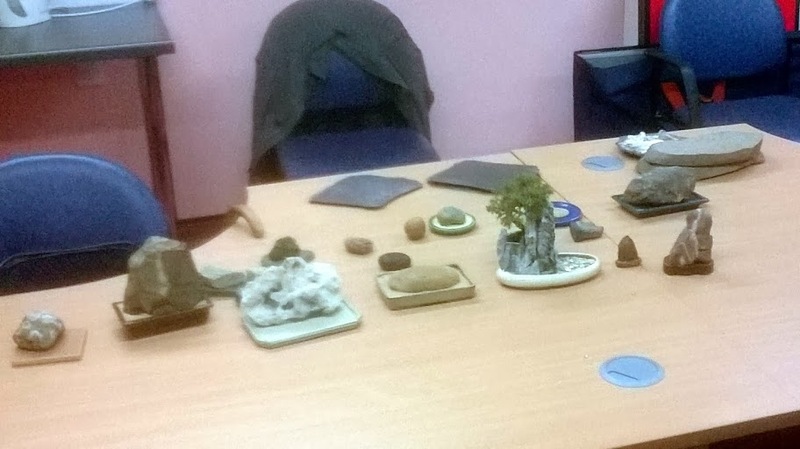 Wit little work to do on our Bonsai, meetings at this time of the year are generally quiet, so Frank brought along some of his natural stones and gave a short talk on Suiseki and than added his own quite unique interpretation on stone appreciation. 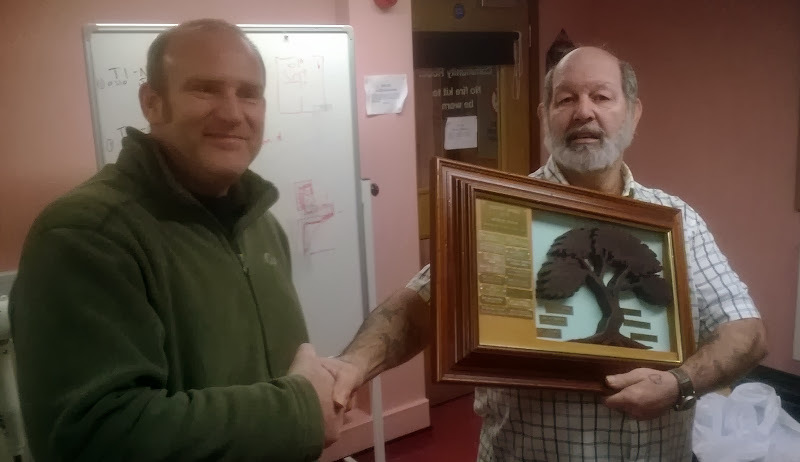 Alan (on the right) handed the Club Trophy over to Lee, who won the “Best bonsai as voted by the public” at last years Club Show with his red Maple group. A though act to follow, but I think a few members (including myself) have some plans in the pipeline to get their hands on the trophy at the next show. It was great to see a few new faces. 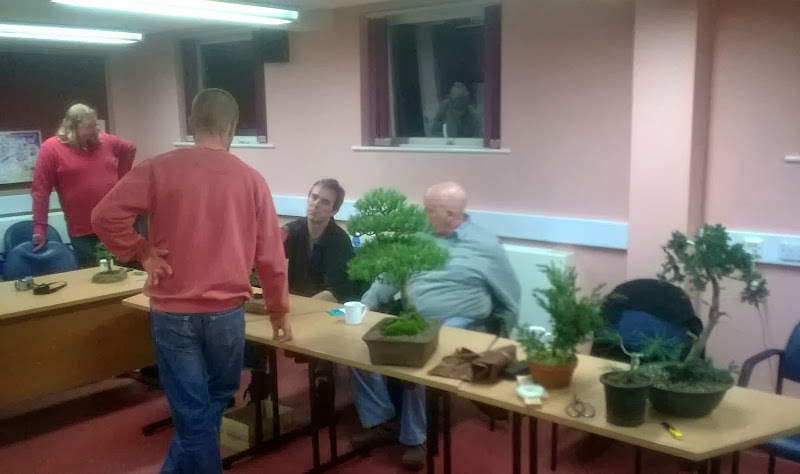 We had three first time visitors to today’s meeting all of them new to bonsai and keen to gain some knowledge and insight. Some brought along trees for some initial advice. Next meeting is on Tuesday, 4 March. Mike will be giving a presentation on group plantings, covering suitable species, material selection and general principles in creating group plantings. 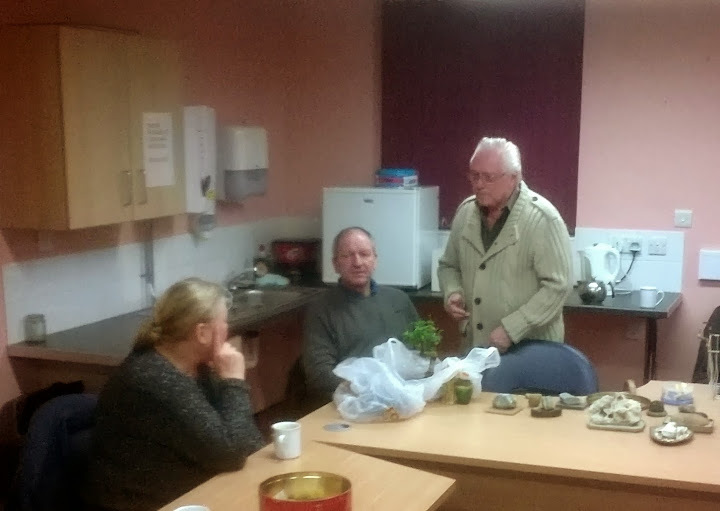 This meeting will be followed up with a practical workshop at Joan’s house, where members can create their own group plantings under supervision and guidance.